As some know, last week it was the 200th anniversary of the publication of Jane Austen's second book "Pride and Prejudice" also known as "Stolthed og Fordom" (in danish). 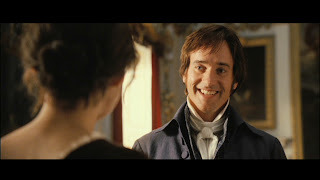 I am one of the many people around the globe who has a crush on Mr. Darcy from "Pride and Prejudice" after he puts down his arrogance and pride, and shows his heart on his sleeve for Elizabeth, when he proposes the second time around. The 2004 version is my favorite of all the movies made since I really like the actors who play their roles to perfection! Since it is 200 years ago Pride and Prejudice was published, many blogs around the world are celebrating this year, for not only is it the 200th year anniversary for the book but it is also the 200th wedding anniversary of Mr. & Mrs. Fitzwilliam Darcy and Mr. & Mrs. Charles Bingley. I don't think it will be the last we hear to this famous book written by 'a lady' since a lot of authors and authoress' just to mention a few; Abigail Reynolds, Jack Caldwell, Marsh Altman, Sharon Lathan, P. O. Dixon, Shannon Winslow, Linda Wells and many others have taken up the pen to write about Fitzwilliam Darcy, Elizabeth Bennet, Jane Bennet and Charles Bingley, their families, friends and have given the characters new dramas, new adventures and new friends to meet. These authors and authoress have put time and effort into their books, and have given many readers around the globe the pleasure of reading more about the famous characters, and I hope to be called a authoress myself someday, hopefully inside this wonderful sphere of Regency, romance and adventures. 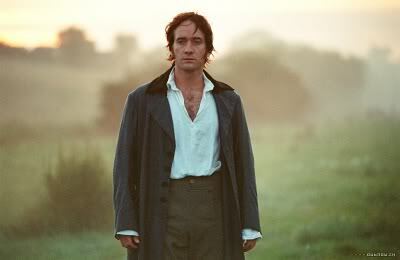 This is from the 2004 version of Pride and Prejudice when Elizabeth Bennet encounters Darcy at his home, Pemberley, which is an estate in Derbyshire, in reality it is called; Chatsworth. Is that smile just wonderful or what?! 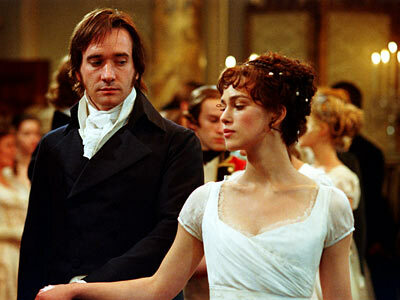 This is also from the 2004 version where Elizabeth Bennet still thinks ill of Darcy, because he is an arrogant idiot! :-D Here they are dancing to a Solo Violin Dance at Netherfield Park, the estate which is the neighbour to Elizabeth's home Longbourn. And this clip is from the 1940 version of Pride and Prejudice, just after Darcy, in this movie played by Olivier Lawrence has proposed the second time to Elizabeth, who is played by Greer Garson. Is that kiss just nice or what? 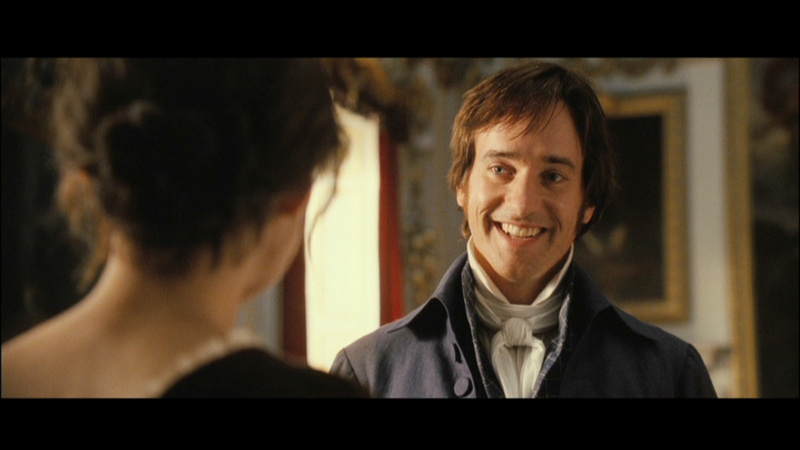 Olivier Lawrence has the right features to play an handsome landowner who thinks too much of himself until he meets independent Elizabeth Bennet who sits him straight! Well, I just wanted to write a little blog entree because of the 200th aniversary, but if anybody wants to read more, I can say, please visit Darcyholic Diversions - it is a blog run by Barbara Tiller Cole, who by the way is a cool woman. I have had the pleasure of being the guest author of her blog a few days ago. I enjoyed your post at Darcyholic. It was great to visit with you here on your little corner of the internet, too! Thanks for leave a short comment! I am so thrilled! I hope you will visit often! Nice blog post! Have you started watching 'The Lizzie Bennet Diaries?' It may now be my favorite version, and that says something! No I haven't started watching "The Lizzie Bennet Diaries" but I am busy with reading all my books and kindle-books at the moment! I have a million! Thank you for the mention. If you like P&P movies, try "Bride & Prejudice." It is different in a crazy, yet wonderful way. Jack, I am glad that you liked the blog! Of course I mentioned you, you are one of the many authors to a P&P book! I will look for "Bride and Prejudice"! Thanks for the comment! I appreciate it! Your blog is beautiful. Enjoy. Mary, thanks for your commet! I appreciate your kind words! Really enjoyed reading your blog post! I second Jack, give Bride & Prejudice a try! Thanks for checking my blog! I hope you will enjoy future blog entrees and the past blog entries as well! I enjoyed reading this very much. I also enjoyed your post at Darcyholic Diversions! Best of wishes on your writing career.